Every summer, up to 1 in 5 people in Britain are affected by hay fever. Also known as seasonal allergic rhinitis, hay fever is caused by an allergy to pollen and fungal spores. The allergy typically occurs in the mucous membranes of the nasal passages and eyes, explaining the occurrence of the symptoms described below such as sneezing, itchy eyes and a blocked or runny nose. Pollen affects a hay fever sufferer because their body’s immune system over-reacts to it, as if it were a toxic substance. The symptoms of hay fever usually start to occur when the pollen count, the number of pollen grains per cubic metre of air, exceeds 50. As a result, the weather can affect how severely a sufferer experiences symptoms – sun can raise the pollen count, wind can spread pollen and rain can lower the count. As hay fever is a chronic condition, there is no ‘cure’. In most people the symptoms of hay fever will ease, to some extent, as they get older. In up to 20% of people they can disappear completely. As mild to moderate hay fever can usually be effectively controlled with over-the-counter medicines and advice from the pharmacy, no formal diagnosis is usually necessary. As long as treatment is effective and symptoms are well-controlled, there is no need to see a doctor. However, if symptoms are severe, they occur indoors or during winter or cause other complications, a formal diagnosis and further investigations by a doctor may be required. Allergy testing by either a skin prick test or a blood test can help to reveal the cause of the allergy and help to form a management plan. Hay fever is more common in people with eczema and other skin conditions, those who suffer with asthma, have a family history of hay fever and in those subjected to tobacco smoke at a young age. What are the treatments for Hay Fever? Hay fever treatment can be very individual and depends very much on the type and severity of symptoms you experience. For mild to moderate hay fever symptoms, over-the-counter hay fever tablets, eye drops and nasal sprays may be enough to keep symptoms controlled. Patients who experience more severe hay fever symptoms that have a significant impact on their daily life may wish to seek prescription hay fever treatment. Hay fever symptoms are caused by histamine. Histamine is released in response to allergens such as pollen from grass and trees. Hay fever tablets contain drugs such as loratadine and cetirizine, which are antihistamines that block the release of histamine. By regularly taking antihistamines, hay fever tablets you can block your body’s reaction to pollen and prevent symptoms from occurring and ease current symptoms. 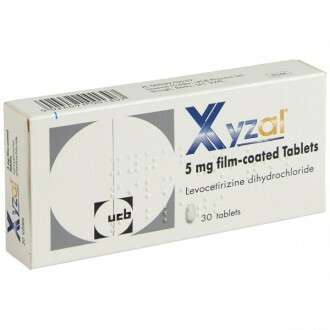 Hay fever tablets are the most popular hay fever treatment, as they are usually taken once daily with few side effects. Tablets usually help with a broad range of hay fever symptoms and can be enough to keep you symptom-free without additional treatment. 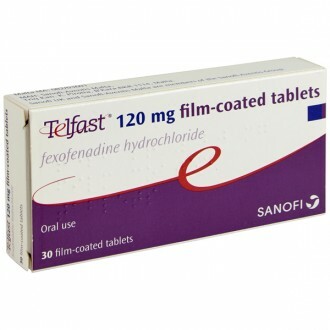 The prescription hay fever tablets that are available from The Independent Pharmacy are Telfast, containing fexofenadine, and Xyzal, which contains levocetirizine. 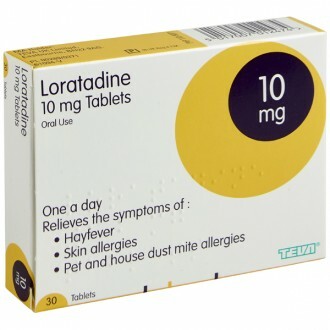 We are also able to offer over-the-counter hay fever tablets containing the well-known antihistamines including cetirizine, loratadine, and chlorphenamine. 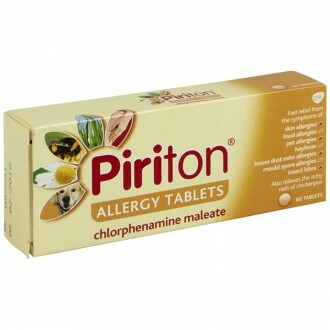 Common over-the-counter brands of hay fever tablets include Benadryl, Clarityn, Piriton and Zirtek as well as the generic treatments. Nasal symptoms of hay fever such as sneezing, and a blocked or runny nose occur very frequently in hay fever sufferers. In some people, hay fever tablets will be enough to treat these symptoms, however, if symptoms are more severe the addition of a hay fever nasal spray may be necessary. These nasal symptoms occur due to the swelling and inflammation of the lining of the nasal passages in response to histamine release. 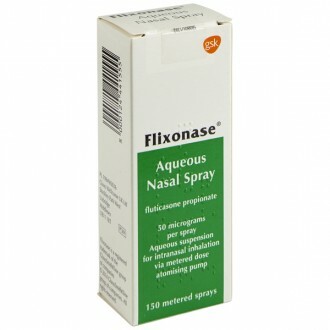 Nasal sprays for hay fever can be used on their own or in addition to hay fever tablets and eye drops. Hay fever nasal sprays usually contain a corticosteroid (steroid), which helps to reduce inflammation and calm the irritation in the nasal lining. As hay fever steroid nasal sprays are applied to the area of action, they can be administered in very low doses and still be extremely effective. This means that they are unlikely to cause any side effects and still provide relief from the nasal symptoms of hay fever. 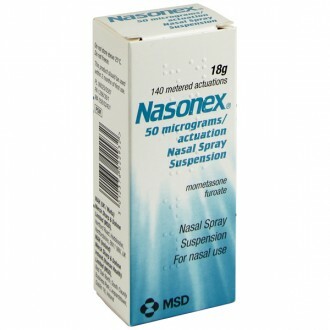 Steroid hay fever nasal sprays include one of the steroids; budesonide, fluticasone, mometasone or beclometasone. The prescription steroid hay fever nasal sprays available from The Independent Pharmacy include Dymista, Flixonase, Nasonex, and Rhinocort. Dymista nasal spray contains a combination of a steroid and an antihistamine for dual relief of symptoms. 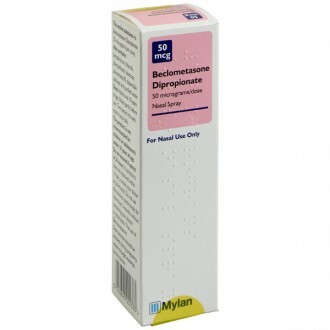 We are also available to offer over-the-counter hay fever nasal sprays containing the steroids beclometasone or fluticasone. 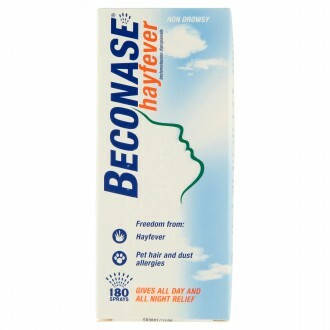 Common over the counter brands of hay fever nasal sprays include Beconase and Pirinase as well as the generic treatments. 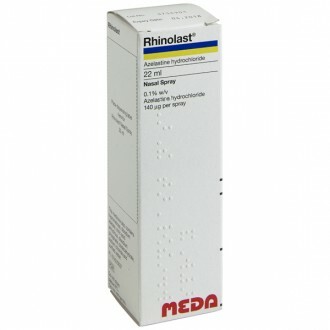 Antihistamine hay fever nasal sprays, such as Rhinolast, contain the antihistamine azelastine. Azelastine works in a similar way to antihistamine tablets to prevent histamine release and the subsequent allergy caused by it. However, it is applied directly to the nasal passages from the nasal spray so can be administered in much lower doses and works in the area where it is needed. For people who experience the symptoms of hay fever mainly in their eyes, like running and/or itching, hay fever eye drops may be the most appropriate treatment. 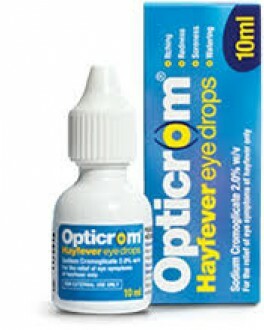 Hay fever eye drops such as Opticrom, Optilast and Rapitil all prevent the release of histamine in response to pollen and other allergies and thus help to both relieve and prevent symptoms. The hay fever eye drops contain the drugs sodium cromoglicate (Opticrom), azelastine (Optilast) and nedocromil sodium (Rapitil). They are each used up to four times daily in each eye depending on response and severity of symptoms. 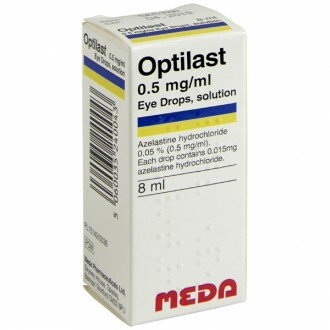 Opticrom, Optilast or Rapitil can be used in combination with hay fever tablets and nasal sprays to help fully control symptoms. Hay fever is typically caused by airborne allergens that enter the body through the air we breathe and trigger a severe response from the immune system. If it is highly seasonal, pollen grains and mould spores are the likeliest culprits. By careful observation, or by taking patch tests with the help of a doctor, it is possible to pinpoint the allergen. It will help you take precautions to prevent future attacks. If you know the specific allergen, it is easier to reduce exposure. Otherwise, noticing whether you are getting it when certain flowers are in bloom or when grass has been freshly cut, if it is getting worse at a particular time of the day or during a specific activity, can help you avoid those situations. There is daily as well as seasonal fluctuation in pollen and mould counts in the air. Most weather shows broadcast the counts. Make it a point to listen to these reports, and avoid outings on particularly bad days. As a rule, pollen counts are high during the mornings and subside by afternoon. Plan your day accordingly. If you need to go outside when there is a high pollen count, ensure you take medication to help your allergies and wear sunglasses to prevent pollen getting in your eyes. Remember, a pollen count of over 50 may worsen hay fever symptoms. Avoid bringing outside allergens into the house as much as possible. Our clothes and hair are good carriers of these particles. Change outdoor clothes immediately on reaching the home, and take shower to wash off any pollen grains sticking to the body. Since we spend a lot of time sleeping, pillow covers and bed covers should be kept as free of allergens as possible. Doctors advise those with severe allergies to cover the bedding with a hypoallergenic, non-permeable barrier and change the bedcovers every day. Common airway irritants like dust and smoke, especially tobacco smoke, may put your body in high alert towards allergens and make a hay fever attack more likely. Avoid exposure to these where possible. Install a high-efficiency particulate arresting filter (HEPA) into your air-purifier for better protection. The filter device itself can become a breeding ground for mould spores that can undermine the very purpose. Keep it in prime condition with regular servicing. Indoor and outdoor cleaning jobs that typically throw allergens into the air should not be attempted by a person prone to hay fever. Cleaning the carpets, dusting the furniture, raking leaves, turning compost etc. should be delegated to other members of family or to outside help. As previously stated, pollen sticks to clothes so do not hang your laundry up to dry outside. Instead, keep it indoors at all times and ensure the windows are closed to prevent pollen coming into the house. Anyone with a history of hay fever should carry either over-the-counter anti-allergy medications or those prescribed by the doctor at all times. 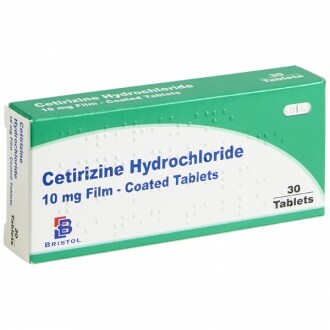 Regular once daily antihistamines, such as cetirizine or loratidine, should be taken daily throughout the pollen season to prevent hay fever symptoms – they are less effective if used as-and-when. Depending on your symptoms, antihistamine tablets can be supplemented safely with a nasal spray and/or eye drops to keep your condition under control and allow you to enjoy the warmer weather. Sunglasses help to prevent pollen getting in the eyes and causing symptoms such as itching, swelling, red and runny eyes. Simple yet effective measures can include things such as wearing wrap-around sunglasses, keeping windows closed when its high pollen count and washing your hair after a day out to remove any trapped pollen grains from your hair and skin. 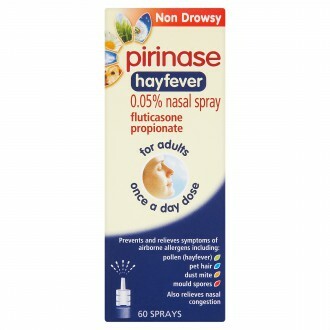 There some non-medicinal products you can buy over the counter such as Prevalin Nasal Spray which can be used on its own or with other medicinal hay fever treatment. There are three types of pollen that commonly cause hay fever; grass pollen, tree pollen and weed pollen. The majority of people with hay fever (90%) suffer with an allergy to grass pollen whereas only 25% suffer an allergy to tree pollen and an even smaller minority to weed pollen. Depending on which pollen you are allergic to, the pollen season, and subsequently when you experience the most severe symptoms, will change. From late March to mid-May the majority of pollen is tree pollen, followed by grass pollen from mid-May through to July. Weed pollen normally occurs the latest in the year from the end of June to September. If you know which pollens you are most allergic to, you can plan your treatment to suit your needs throughout the pollen season. The dates provided for pollen season are a rough guide, they can change from year to year depending on the weather and other factors. For most people it is sensible to start with a once daily antihistamine such as cetirizine or loratadine, taken each morning during pollen season, even if pollen counts are low. You can then adapt your treatment depending on your response, if a once-daily antihistamine is not enough to keep symptoms under control then a different antihistamine can be tried or a nasal spray or eye drops can be added. Do you get Hay Fever on holiday? You can still experience hay fever on holiday and hay fever sufferers should take preventative medication with them to ensure they can keep their symptoms at bay abroad. It is worth noting that as the trees, plants and grasses can vary abroad, depending on how far you have travelled, the symptoms you experience can be different (more or less severe) to those at home. It is worth taking treatment with you so you are prepared. Does the weather affect the pollen count? Yes, the daily pollen count can fluctuate greatly depending on the weather. In general, rainy days will clear pollen from the air and mean symptoms will be decreased. Both wind and humidity can cause pollen to spread more easily meaning that symptoms will be worse, as they will be on sunny days where more flowers open. Pollen counts tend to be lowest in the early morning and rise throughout the day to a peak at early evening. Can I use a nasal spray, eye drops and tablets to treat Hay Fever together? Yes, as long as each item is individually appropriate for you to take, there is no problem combining an antihistamine tablet, steroid nasal spray and allergy eye drops to keep hay fever symptoms under control. How do I take my Antihistamine tablets? Antihistamine tablets start to work within 30 minutes and are normally taken once daily in the morning, swallowed whole with a glass of water. You can take them with or without food. When should I start to take Antihistamine tablets? Unlike steroid nasal sprays, which are best started days before exposure to pollen, antihistamine tablets work quickly and can be taken when you need them. For best protection against pollen, you should take them throughout pollen season to prevent hay fever from occurring. What's the best time of day to take Antihistamine tablets? Antihistamine tablets can be taken at anytime of the day, although they are generally best taken first thing in the morning to help prevent symptoms throughout the day. Will Antihistamines make me drowsy? All antihistamines have a chance of producing drowsiness, though this can vary from person to person. 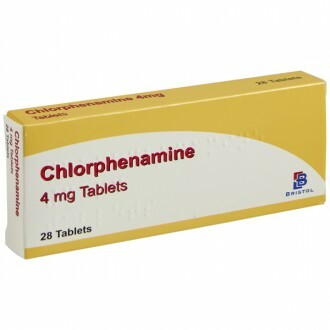 All of the once-daily antihistamines, frequently called non-sedative antihistamines, and have a lot lower incidence of drowsiness compared to the older types of antihistamine (such as chlorphenamine). Are all Antihistamine tablets the same? Although most once daily antihistamines work in a similar way, individual responses to them can vary greatly. One antihistamine may work better for you than another. For this reason it may be beneficial to try a new antihistamine if you find one ineffective. If you use Antihistamine tablets continously will you become addicted to them? 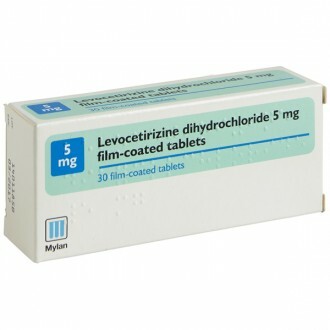 Newer once-daily antihistamine tablets are not addictive and they are safe to use for long periods of time. Older antihistamines that are used for nausea and insomnia can produce some dependency (this is not the same as addiction) when used for long periods. If you are concerned, please contact one of our healthcare professionals for advice. Will the effect of Hay Fever treatments diminish over time if you use them every day? As long as all of the hay fever treatments are used as advised, and they are only used during hay fever season, their effects will not diminish over time with continued use. Take the forgotten dose as soon as you remember. If that is not until the next dose is due, do not take a double dose. I have had tablets before but it wasn't quite enough to control all my symptoms. What should I do? Most hay fever treatment starts with a once-daily antihistamine tablet unless symptoms are confined to either just the nose (nasal spray) or the eyes (eye drops). 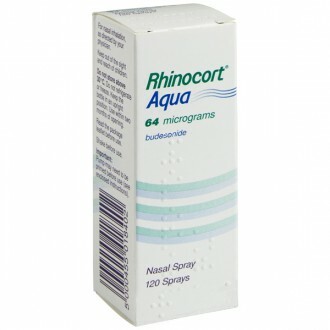 If an antihistamine tablet is not enough to control your symptoms, you can should next add a nasal spray to your treatment regime (unless your eyes are particularly badly affected). A combination of a nasal spray and antihistamine tablet is normally very effective in controlling hay fever. If further treatment is required, eye drops can also be added to this regime. In the event that using an antihistamine tablet, nasal spray and eye drops do not control your hay fever, you may wish to switch treatments to test for more effective alternatives. Always remember that you should use the preventative techniques to reduce the severity of symptoms alongside medicinal treatments. How do I use a nasal spray properly? Blow your nose to ensure your nostrils are clear of mucus. Remove the cap. Shake the bottle. The first time you use it, pump the spray to ensure it is working and a fine mist of medication comes out of the end. This is also sometimes referred as "priming" and needs to be done when you use for the first time and after long periods when it has not be used. Breathe out and tilt your head forward. Place your thumb on the bottom of the bottle and 2 fingers on the top. Use the fingers from your other hand to close your other nostril. Breathe in slowly and administer a dose of the nasal spray. Avoid breathing in too quickly as this may cause the spray to pass through the nasal cavity and be swallowed. Repeat steps 2-4 above for the other nostril. Avoid blowing your nose or breathing in deeply for a short period of time after administration. This will ensure the medicine is absorbed correctly and has time to work properly. When should I start to use my Hay Fever nasal spray? Steroid nasal sprays need to be started a few days before they are needed to allow them to build up to their full effect. They need to be used continuously throughout the hay fever season for maximum effect. 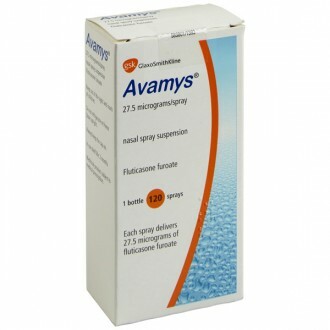 Examples of steroid nasal sprays are Avamys, Beconase, Nasonex, Rhinocort and Flixonase. Dymista is a combination hay fever treatment containing a steroid and an antihistamine. 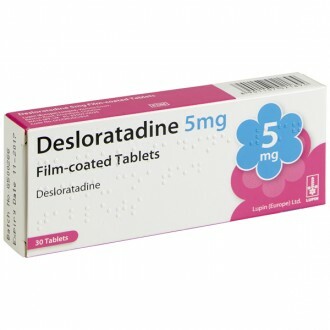 The steroid effect may take a few days to build up, however the antihistamine should take effect quickly allowing it to be started when symptoms occur. It should still be taken regulalry throughout hay fever season, not just when required. Do steroid nasal sprays have bad side effects like steroid tablets? Unlike steroid tablets, the nasal sprays used for hay fever deliver the drug to exactly where it is needed. This means that smaller amounts are used and only a tiny amount is absorbed in to the body. The side effects of steroid nasal sprays are minimal in comparison and are usually limited to dry skin inside the nostril(s), redness at site of application and in some patients, taste disturbances.